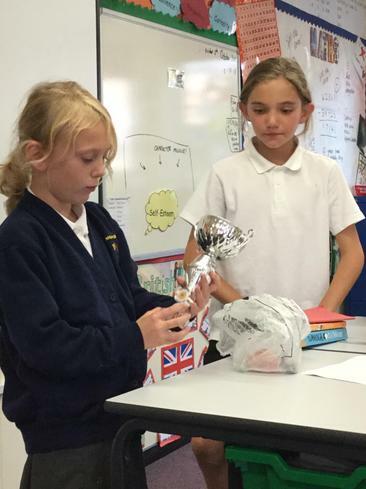 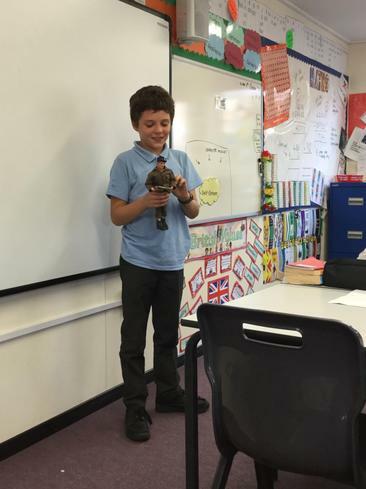 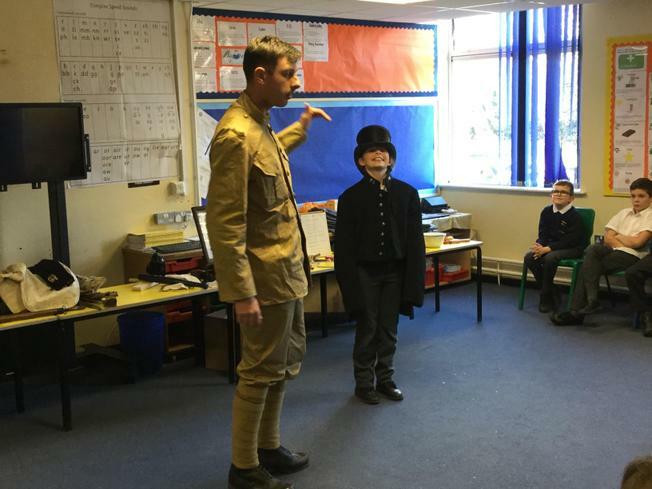 We had a very busy last few weeks of term when we studied the Victorians and Remembrance. 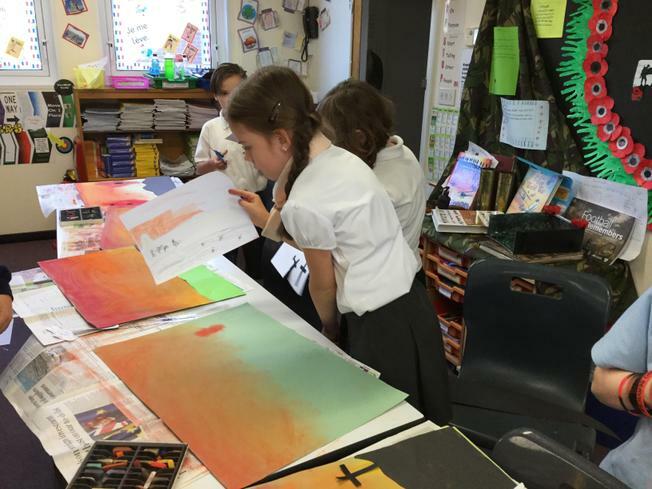 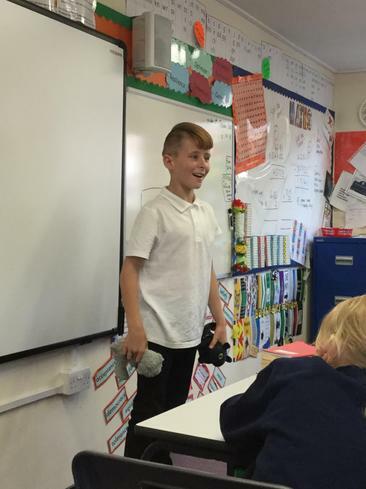 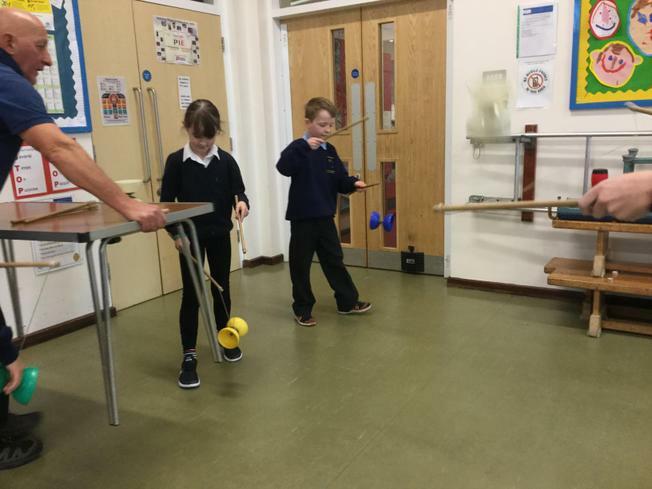 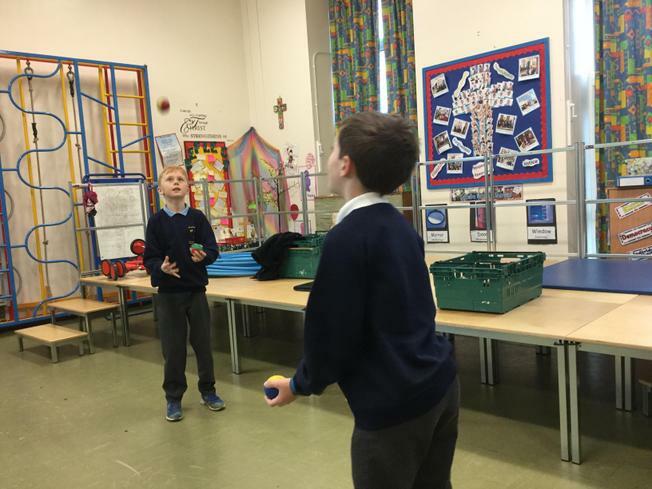 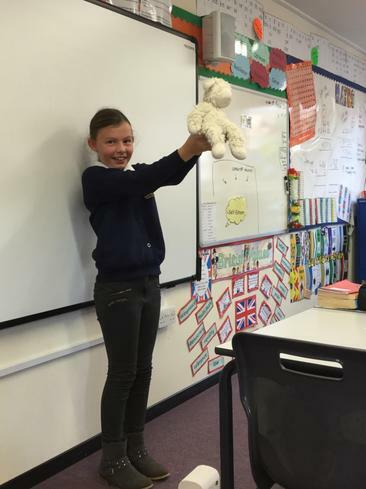 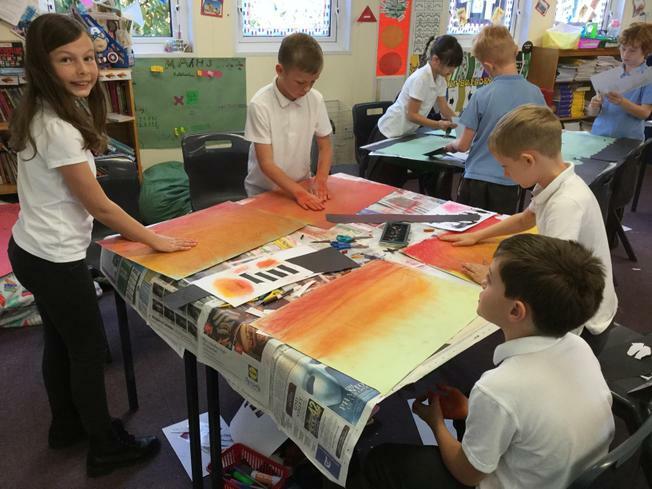 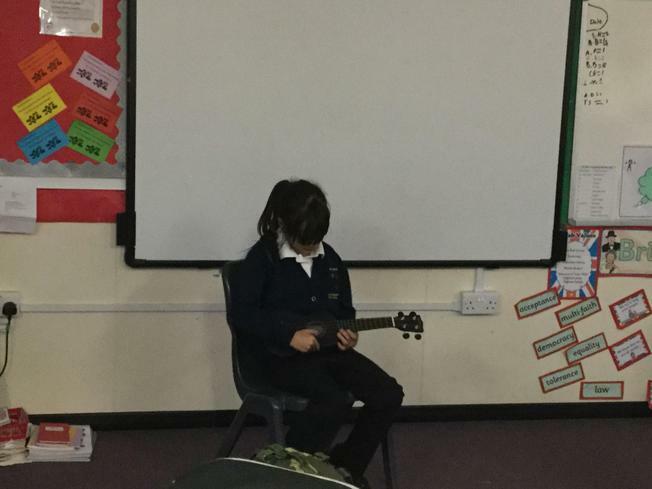 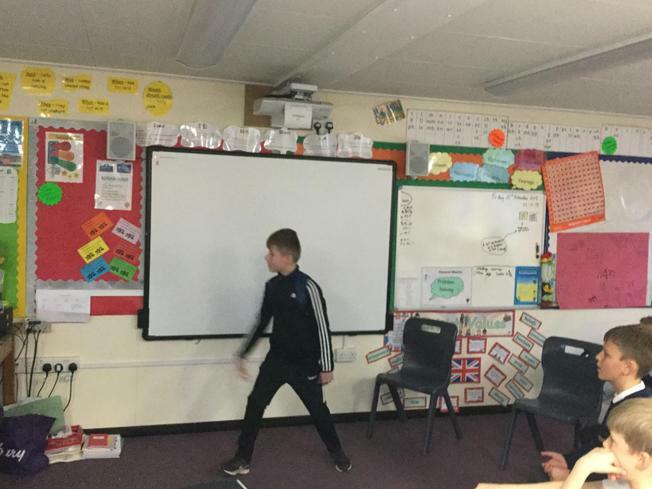 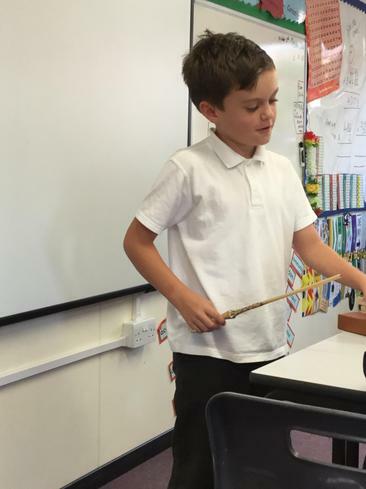 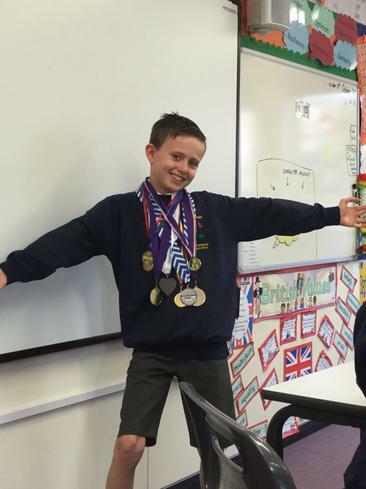 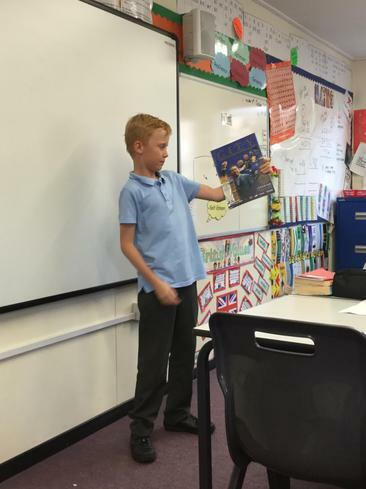 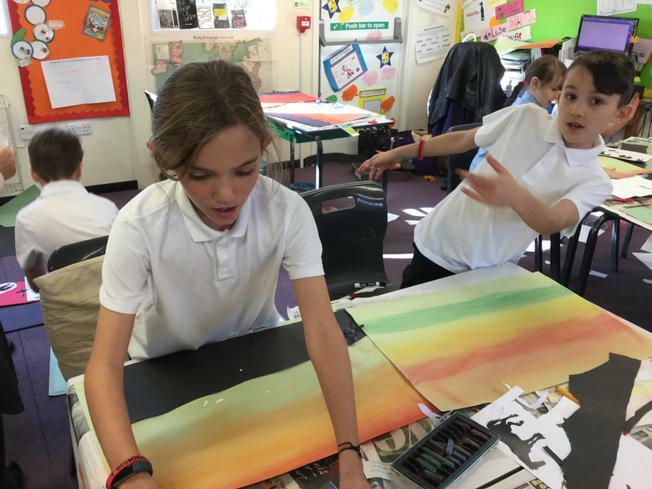 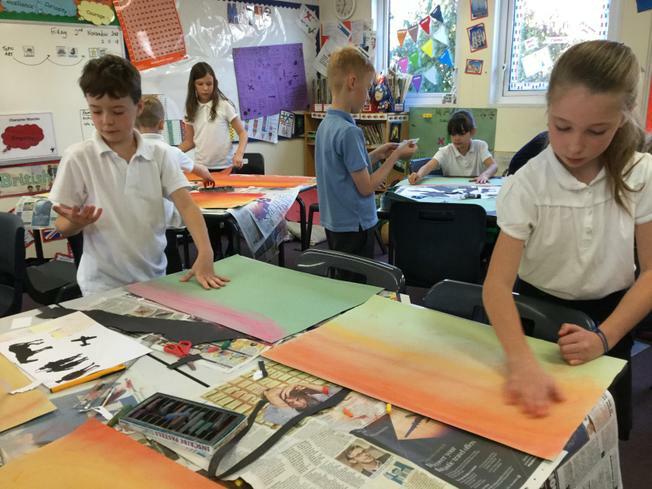 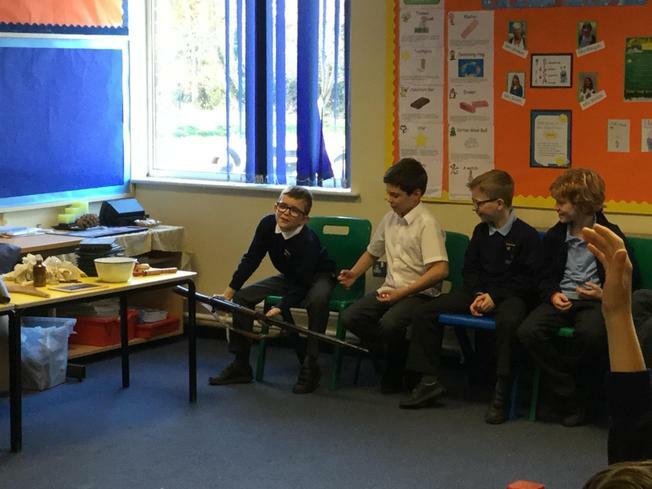 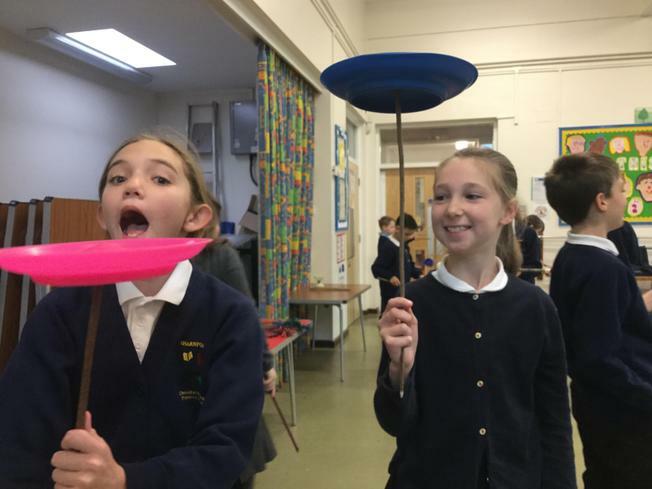 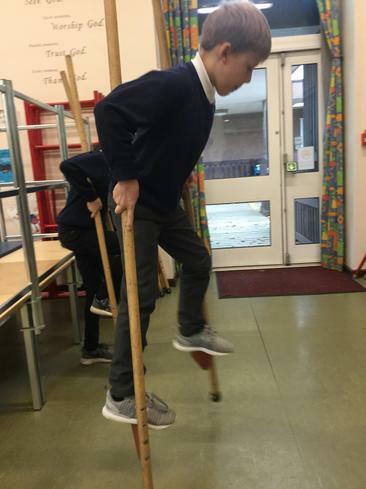 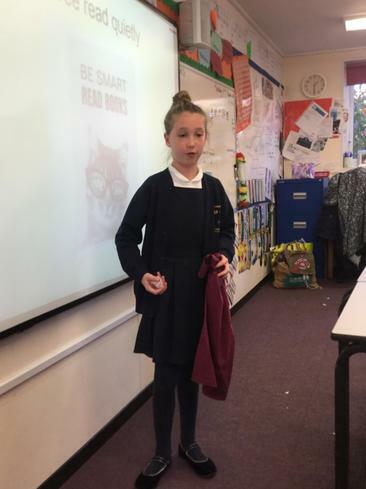 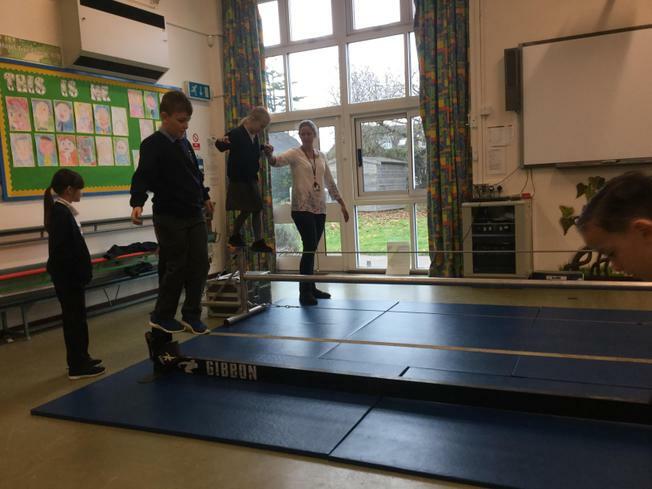 As well as our usual day to day lessons we also had circus skills, visits to St Helen's to see our Remembrance work on the church walls, a visit from Jed at Up and at 'em history, Redwood's Got Talent and the Christmas meal and workshop. 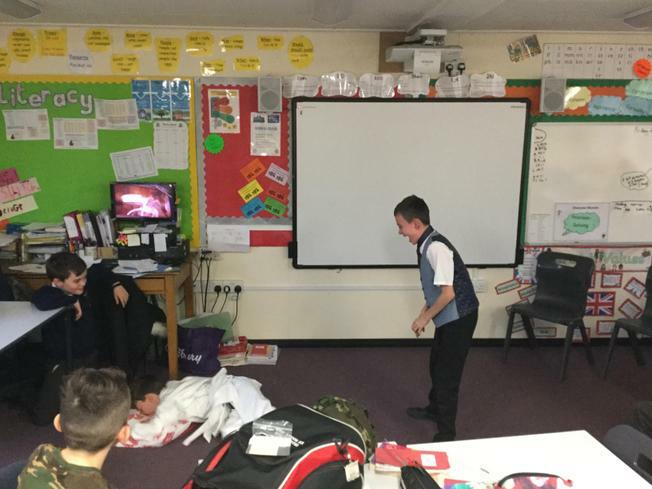 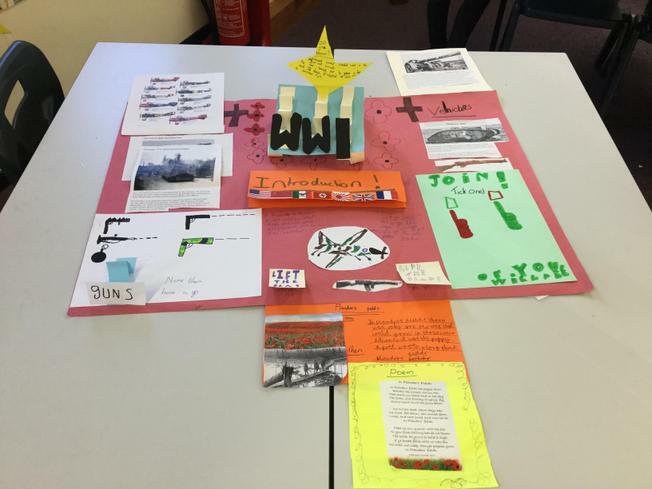 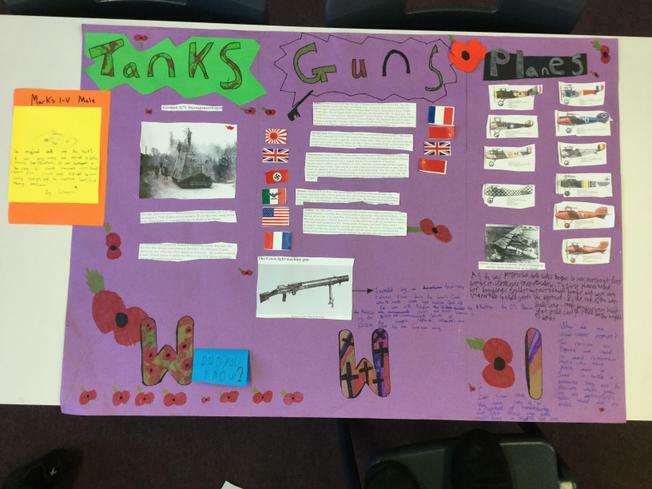 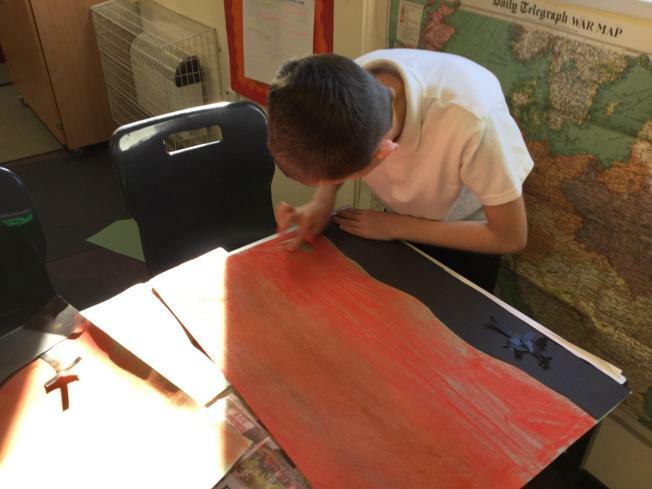 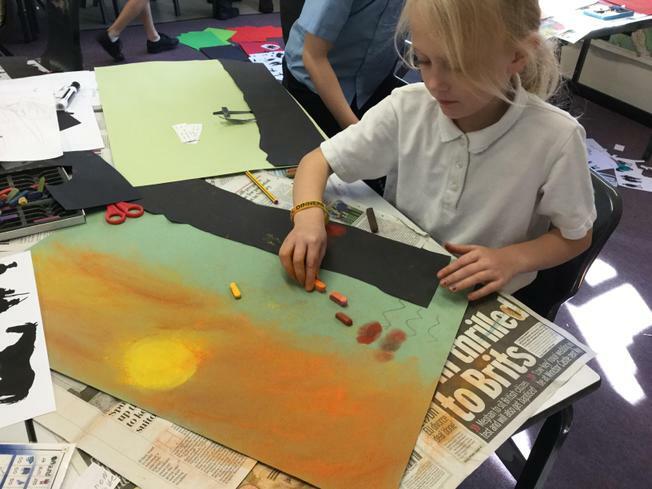 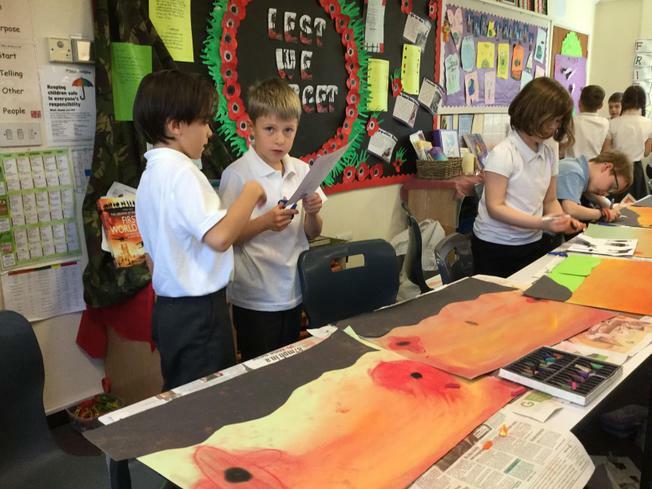 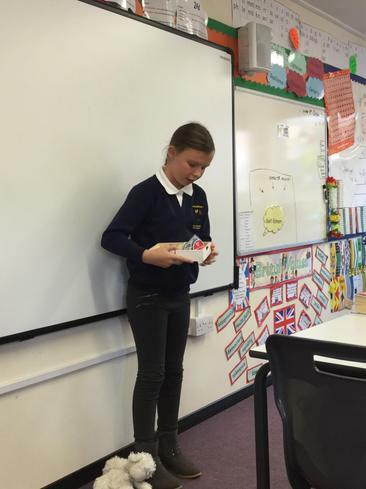 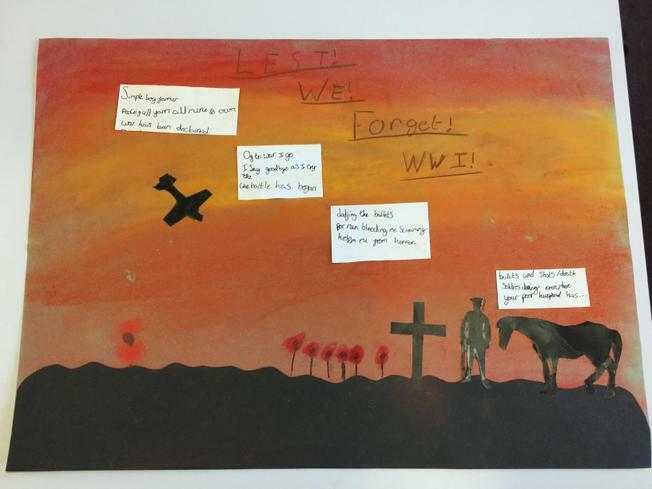 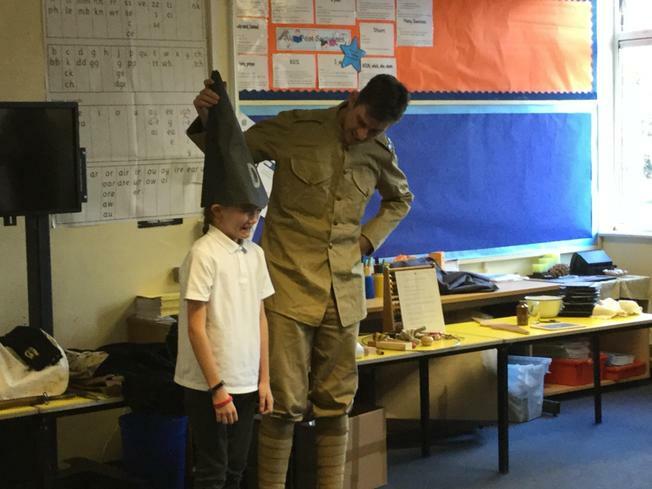 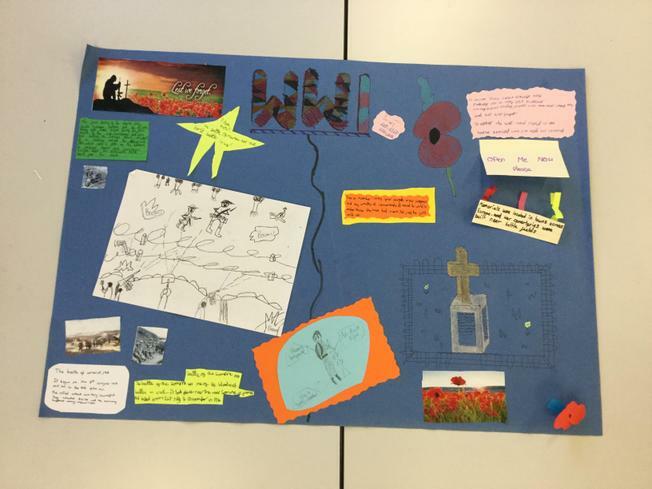 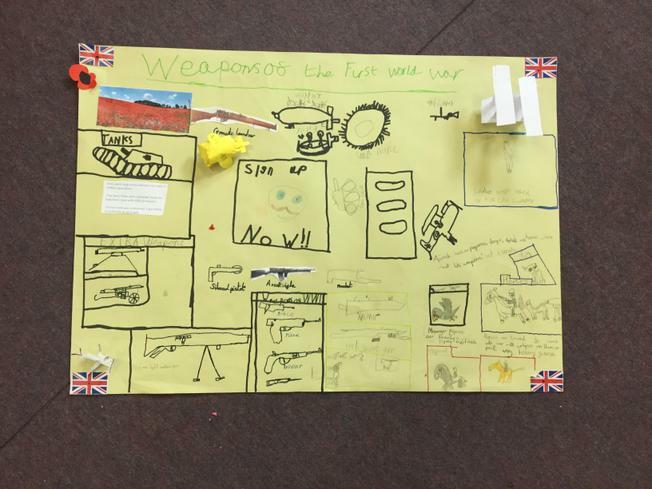 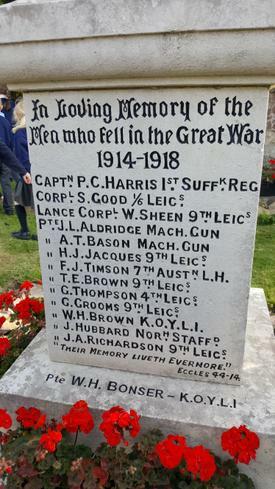 Over the last two weeks we have been learning a lot about WW1. 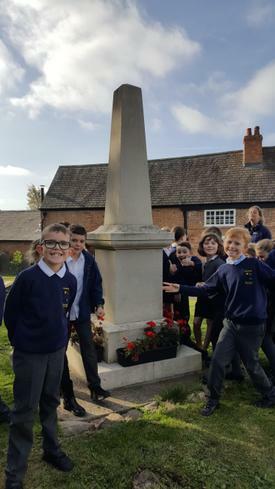 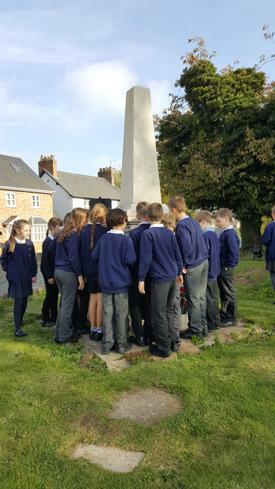 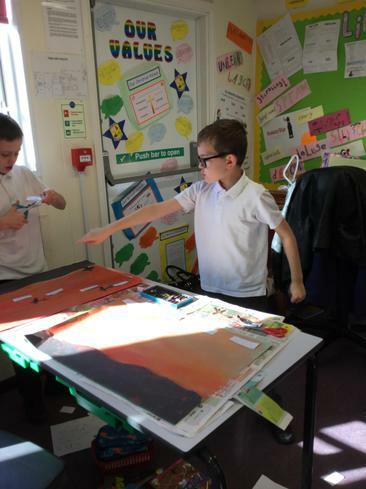 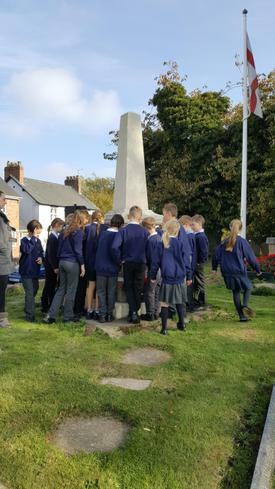 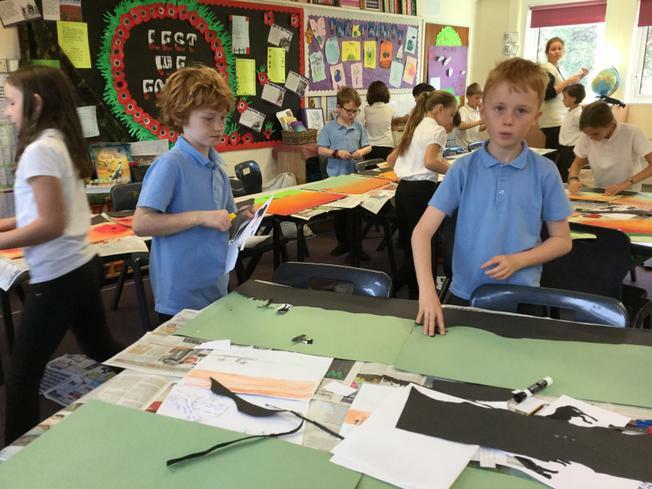 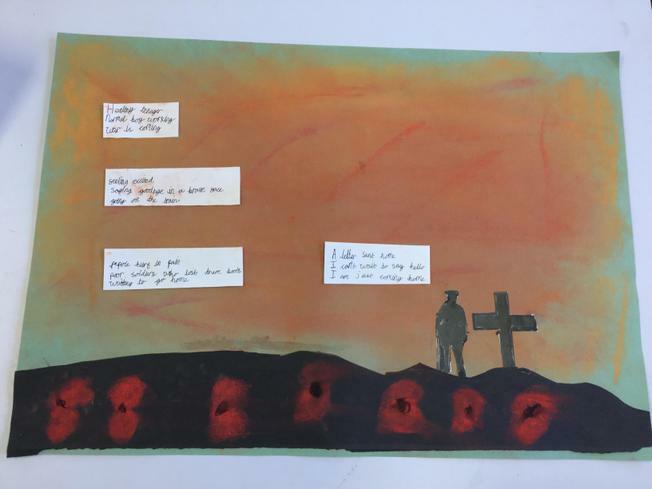 We have looked at battles, weaponry, life in the trenches, famous people and the poetry of soldiers such as Wilfred Owen. 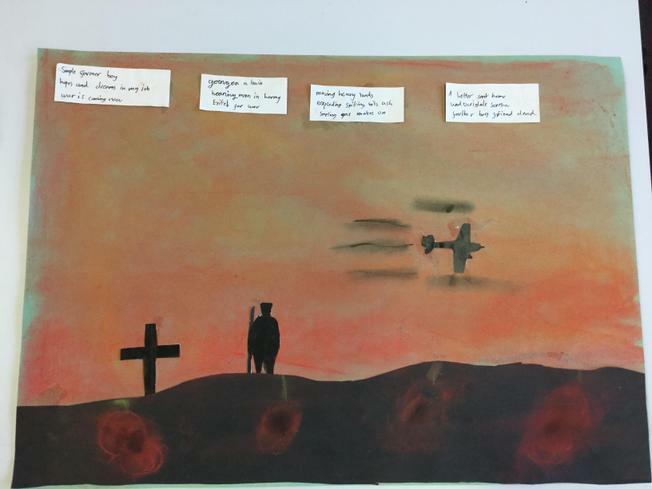 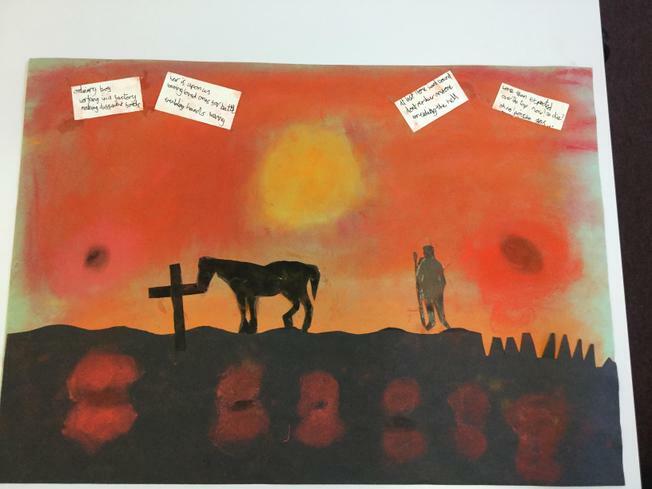 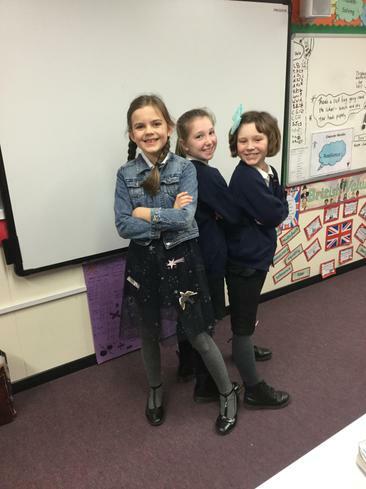 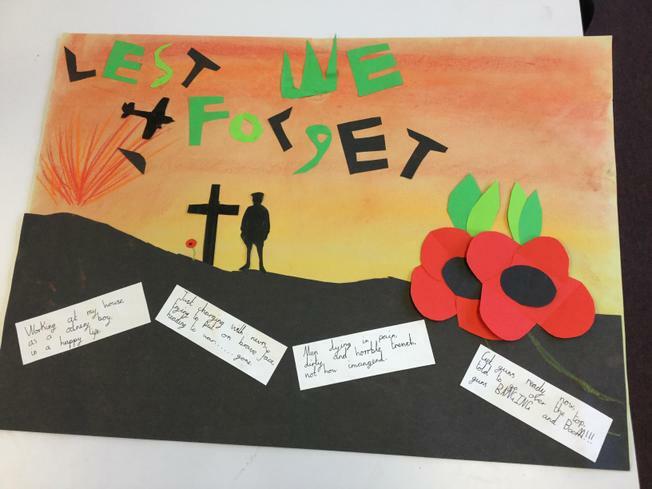 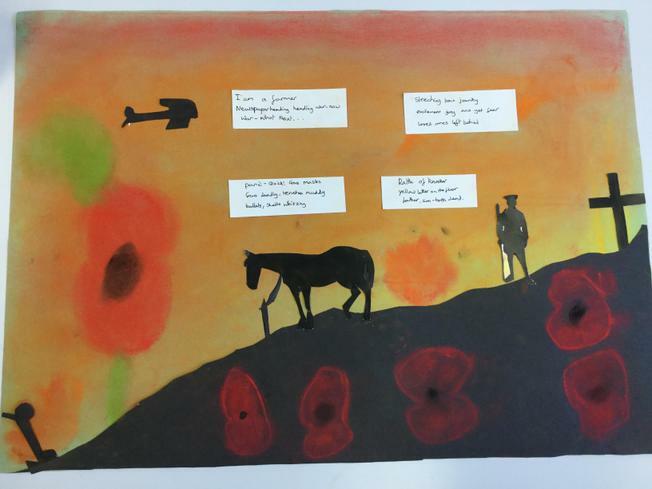 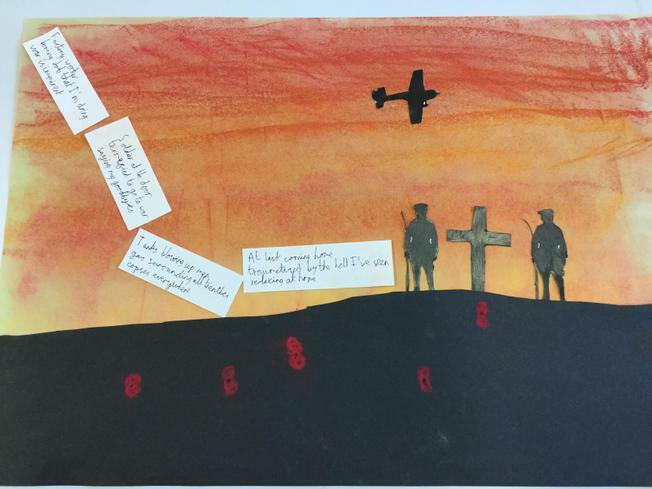 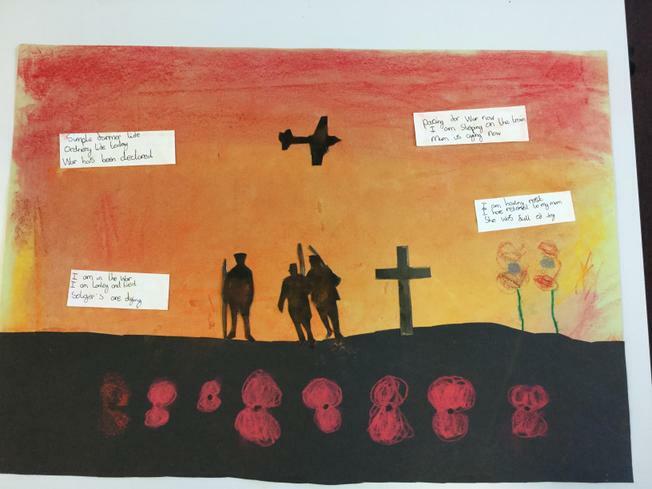 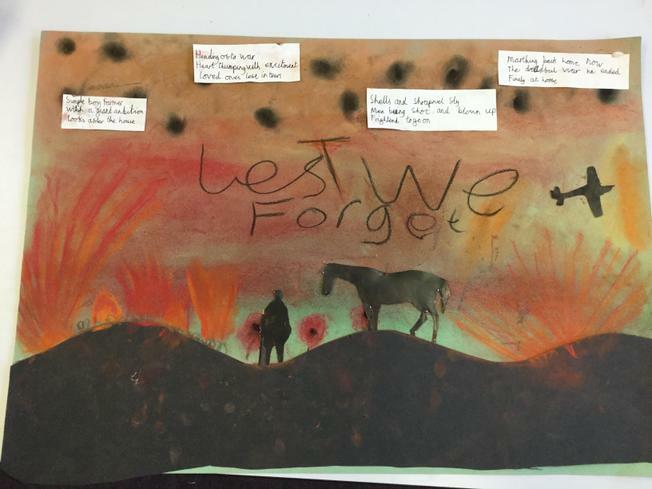 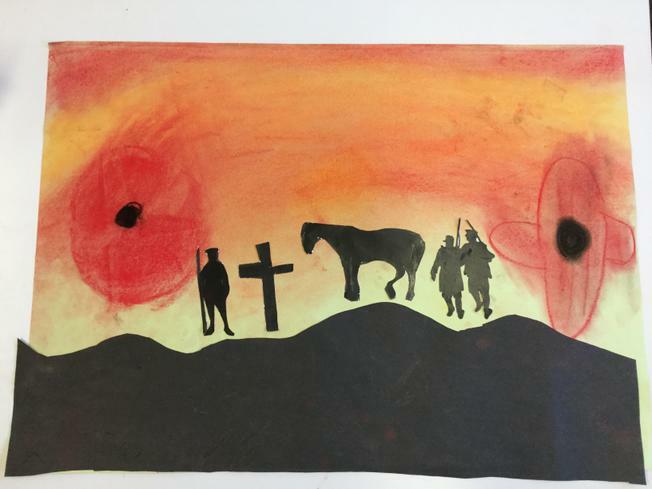 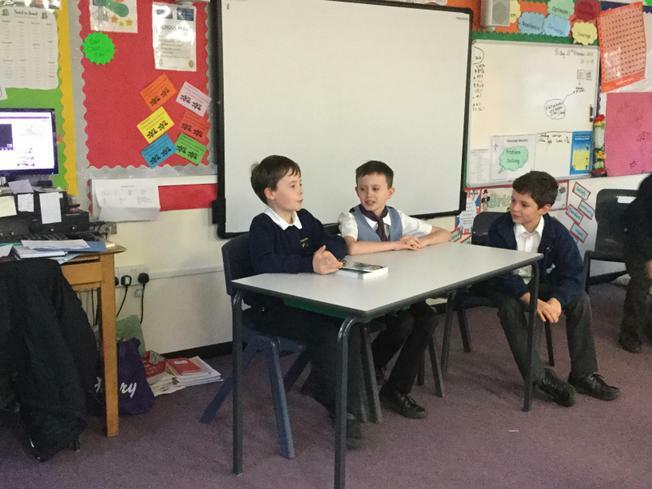 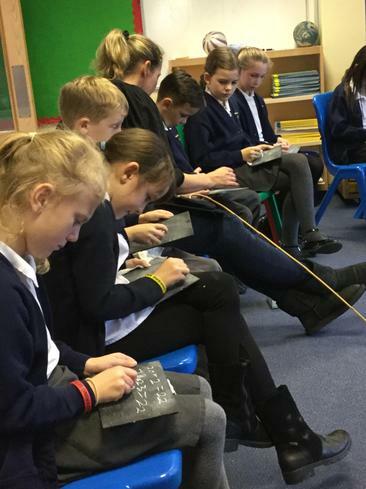 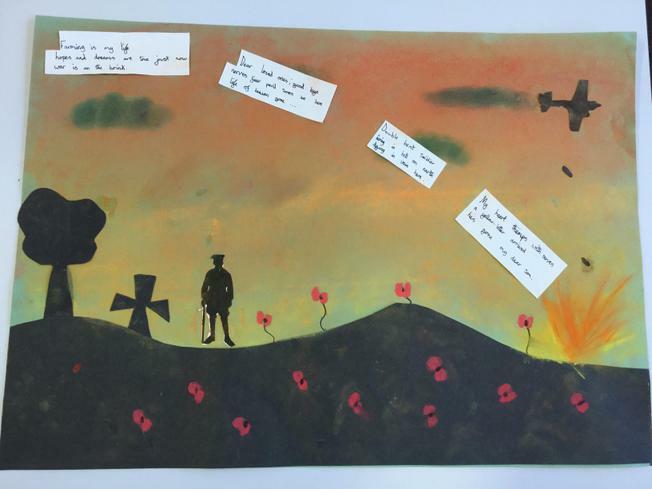 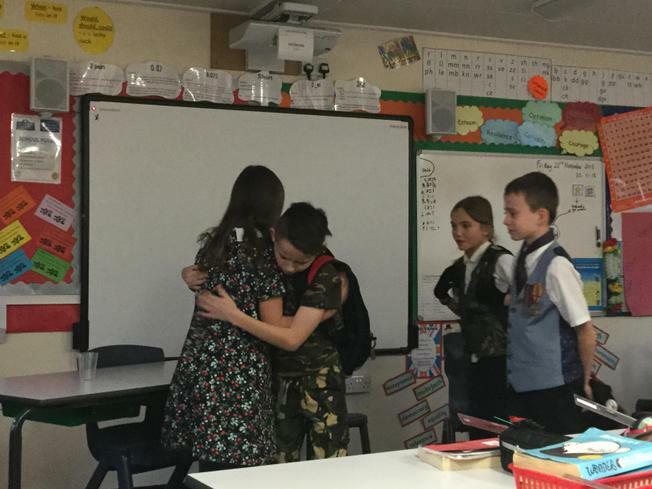 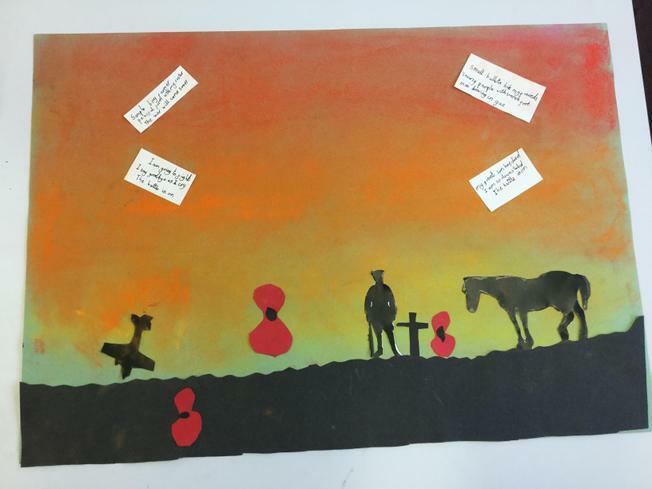 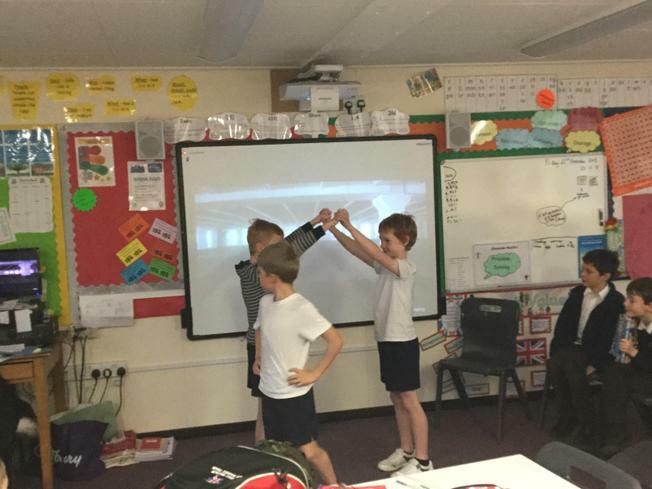 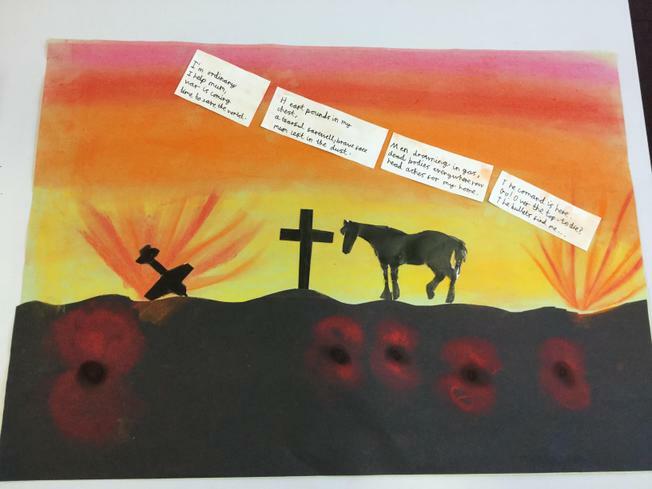 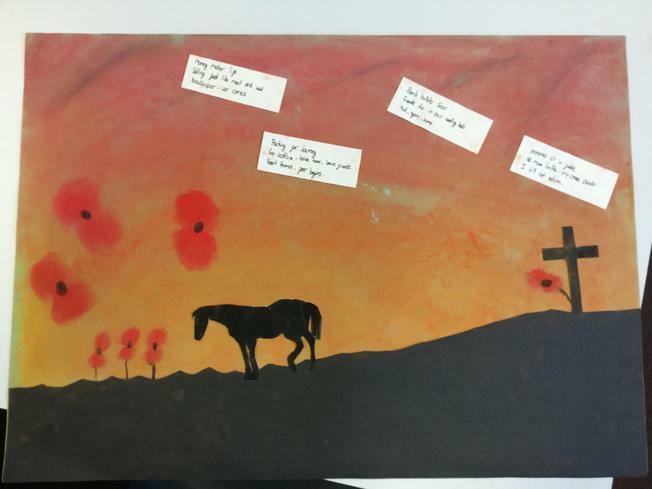 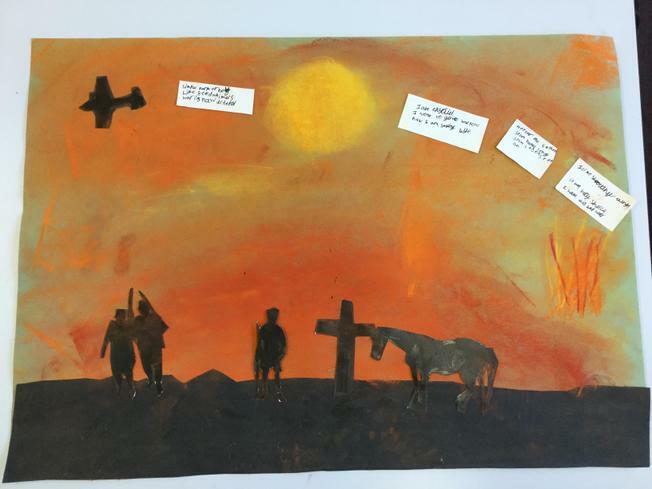 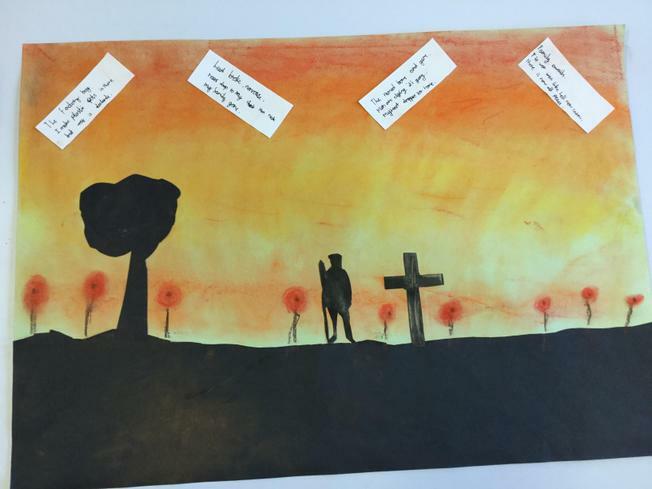 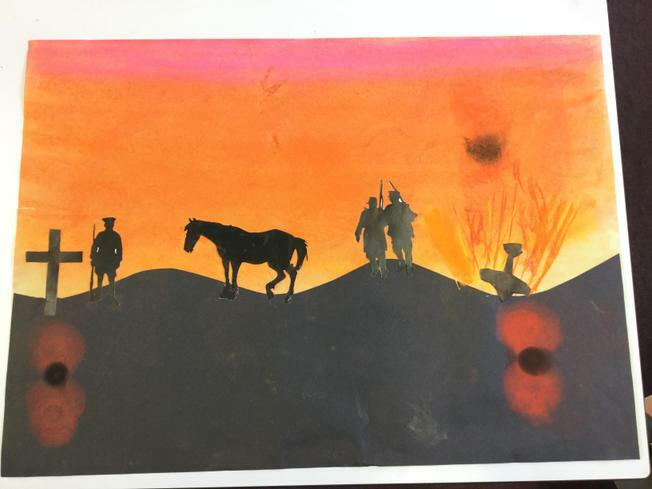 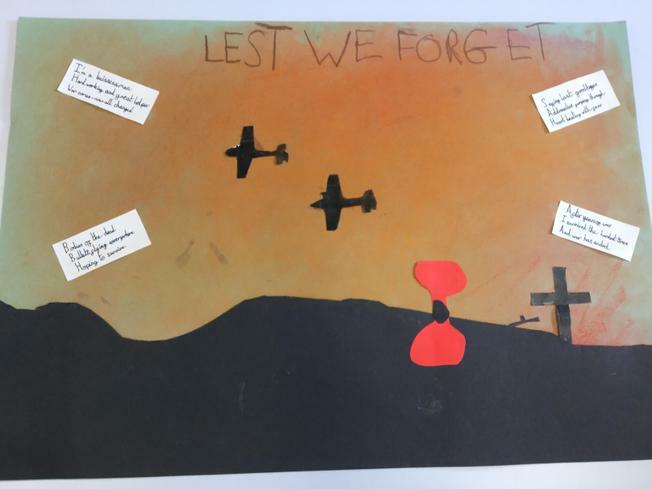 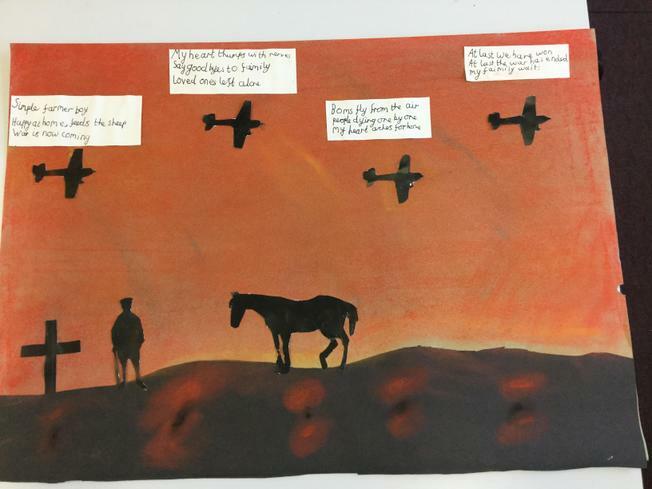 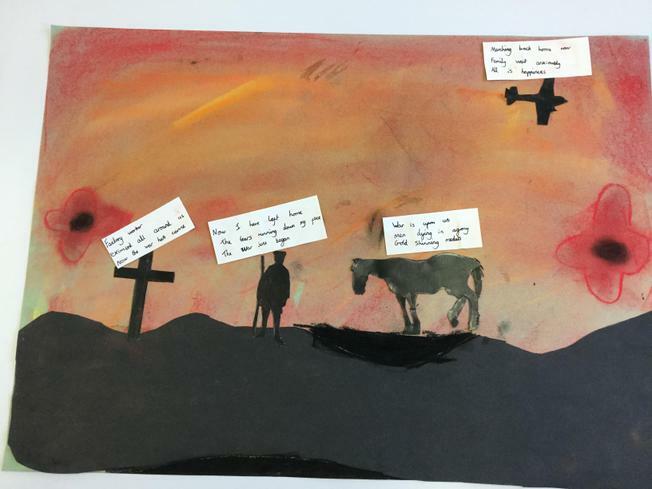 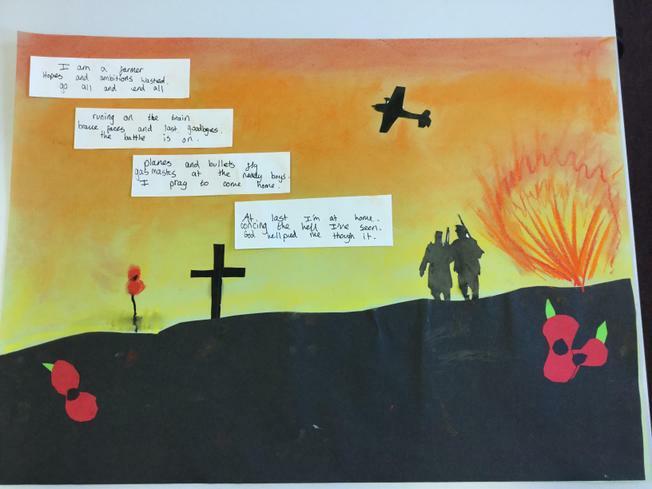 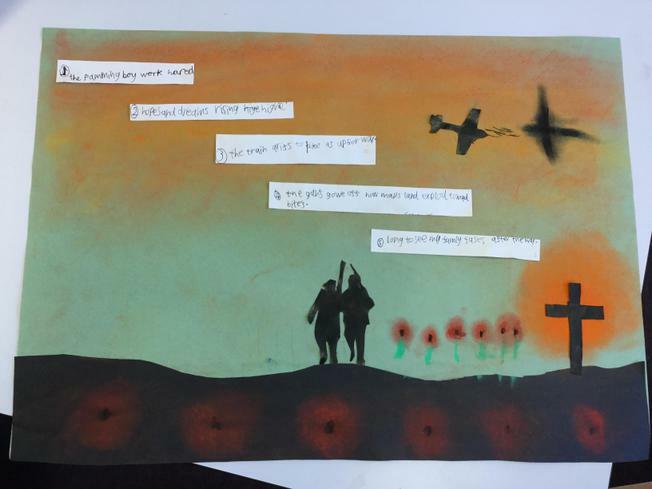 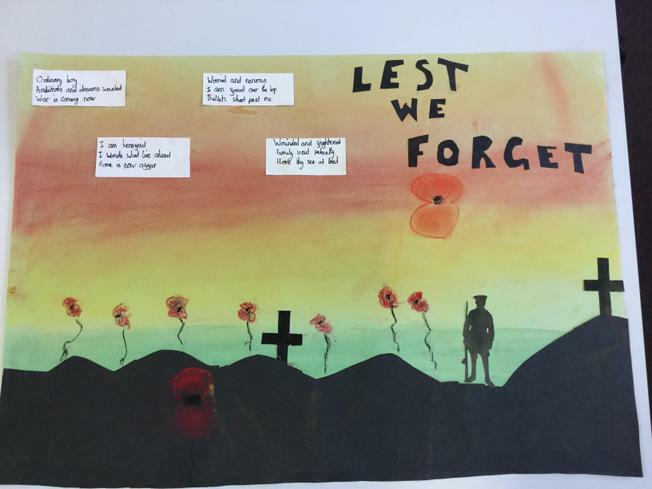 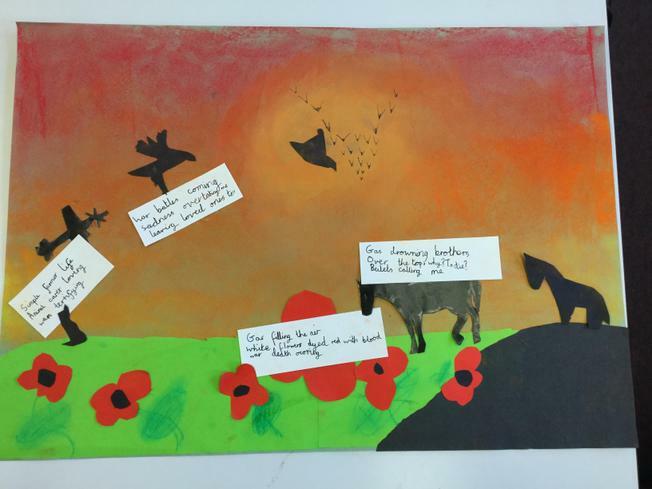 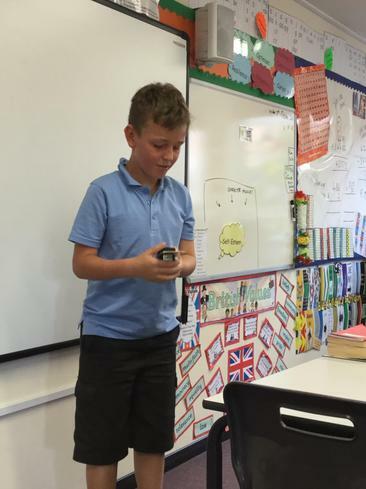 We used war poetry to create our own 4 verse haiku based on life before the war, heading to war, being in battle and then the final verse of whether our soldier made it home again or not. 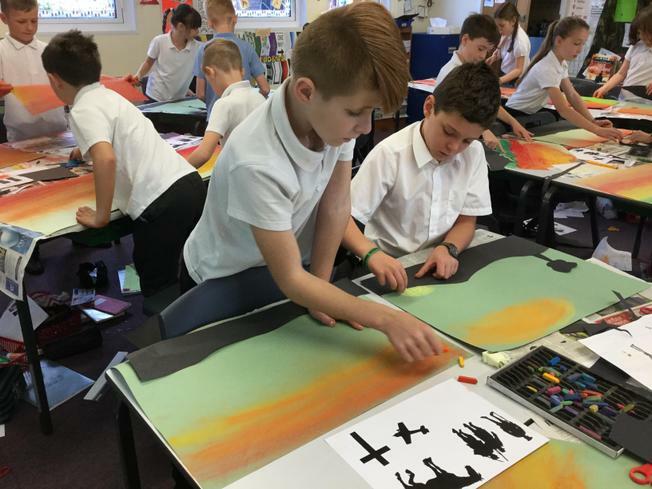 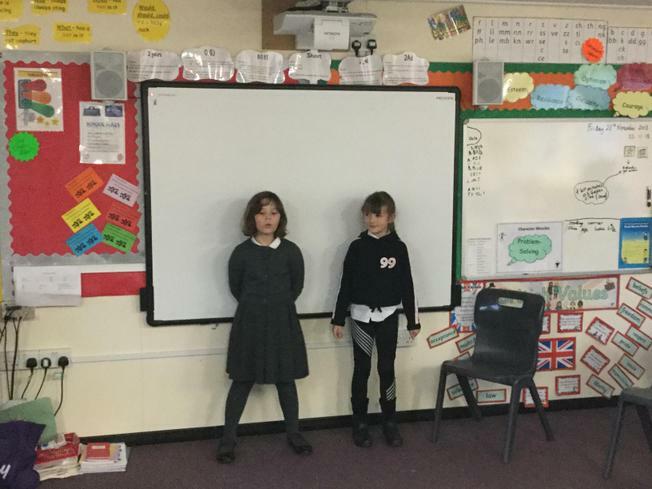 We used a pastel backdrop and silhouette pictures to write up our poetry. 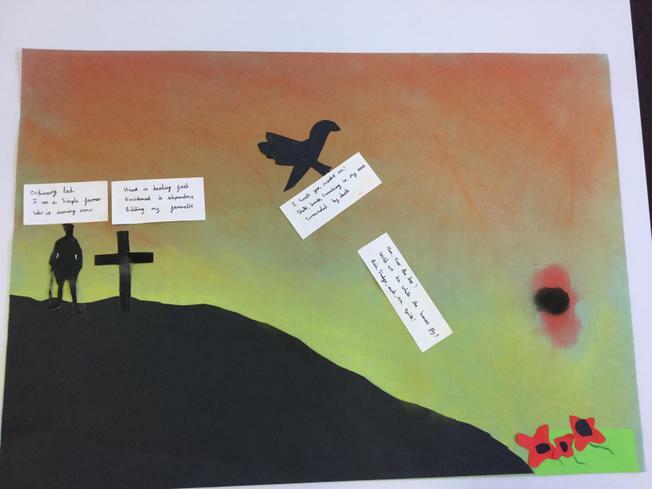 Some of our poetry and the prayers we wrote have gone to St Helen's in time for the Remembrance service on Sunday. 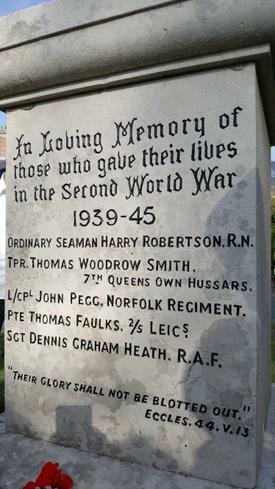 Today we also painted pebbles of remembrance which will go to sit at the base of the cenotaph. 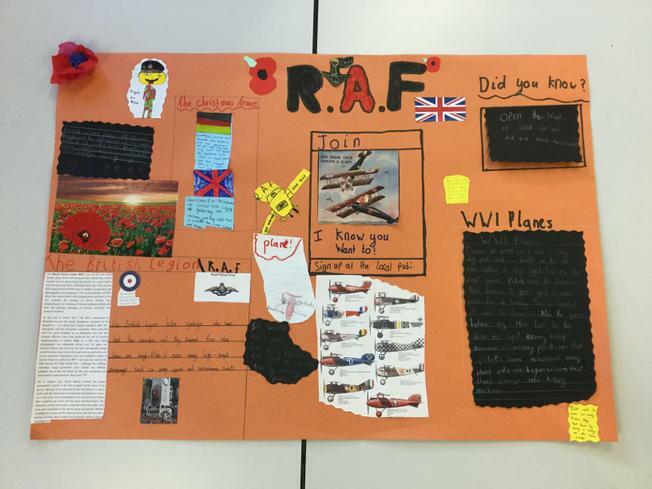 Our half term topic of Identity has been very informative! 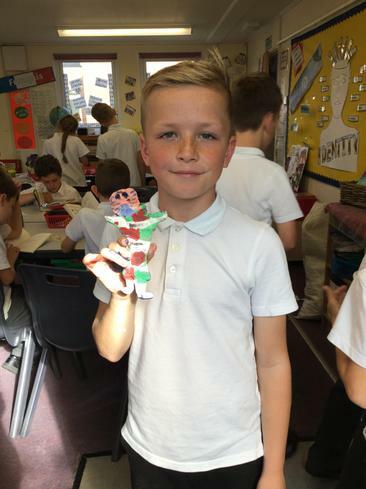 We've found out about our fingerprints, about our local surroundings and a little bit about our genetics and what makes us 'us'. 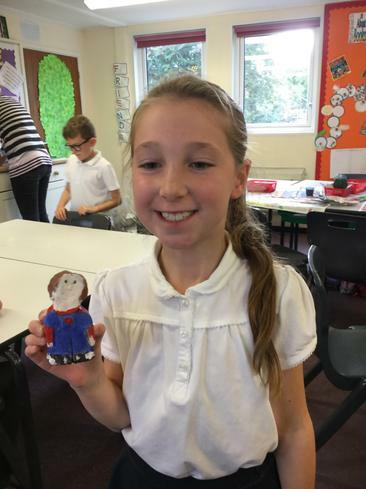 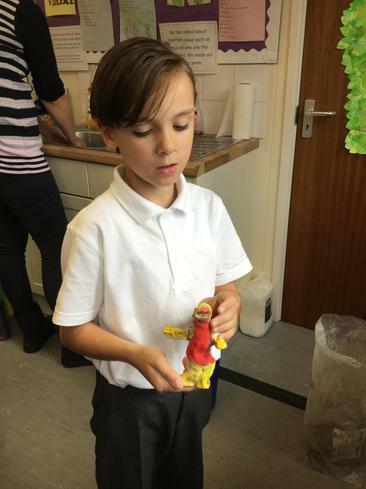 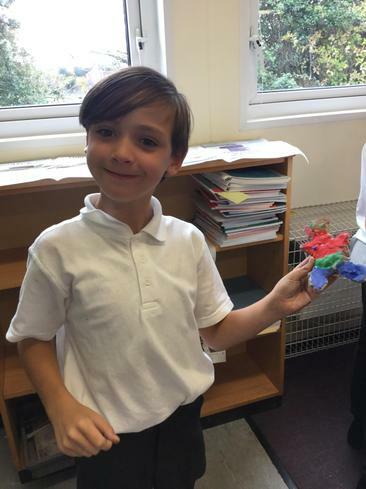 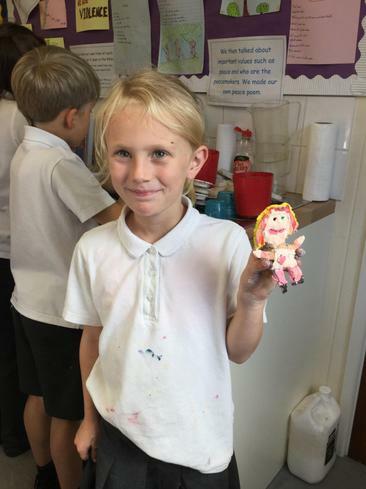 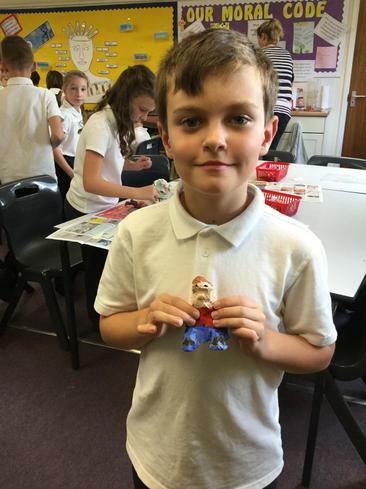 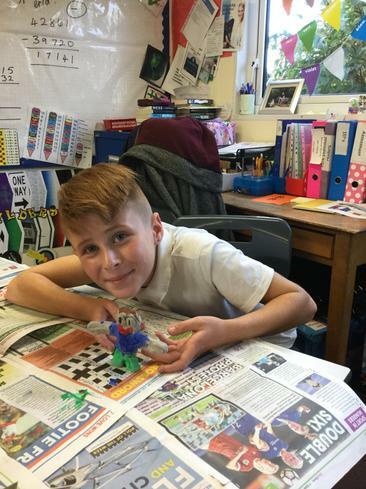 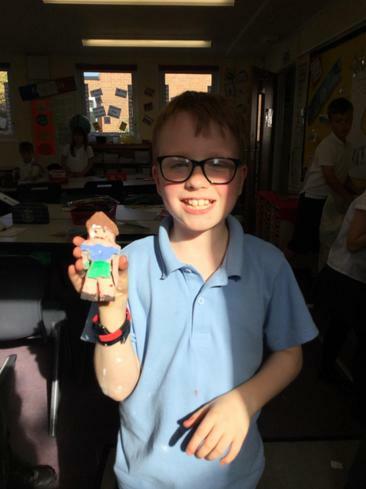 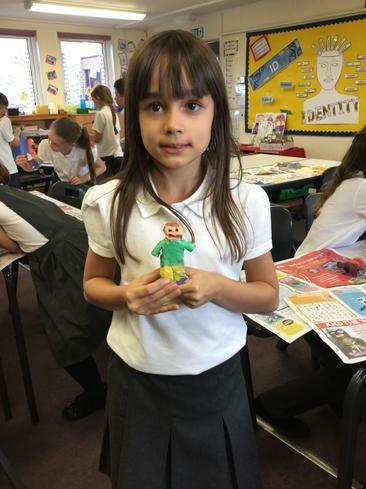 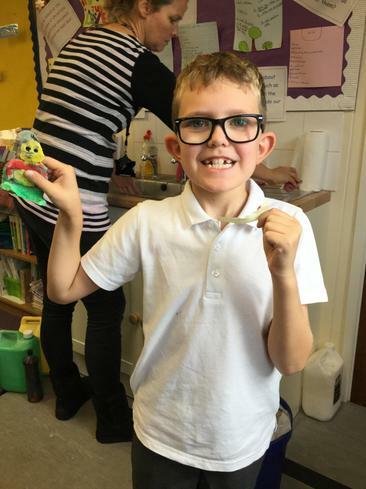 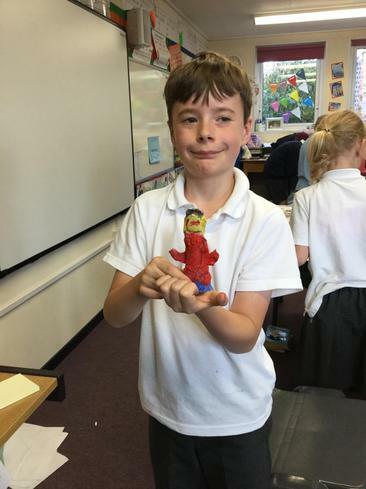 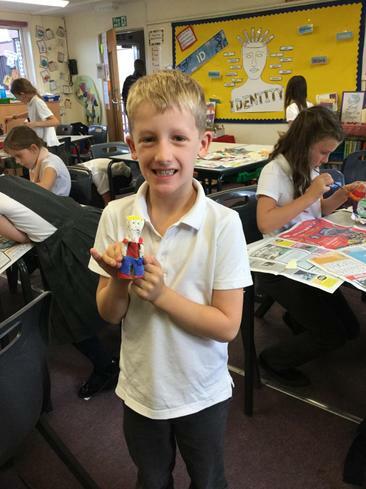 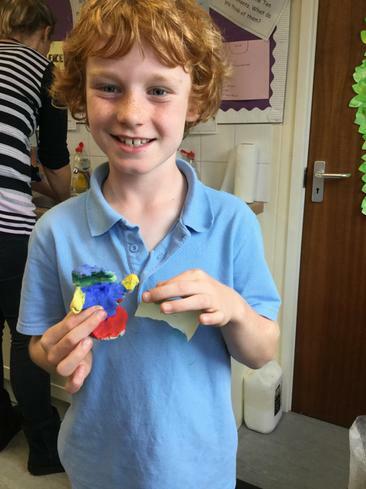 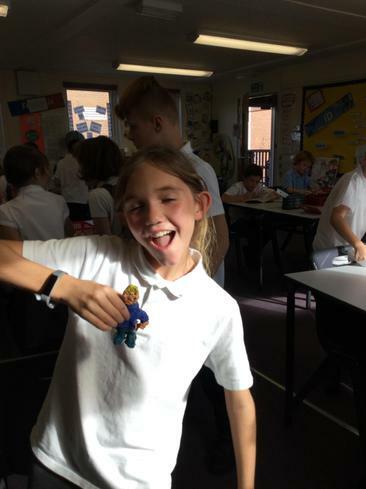 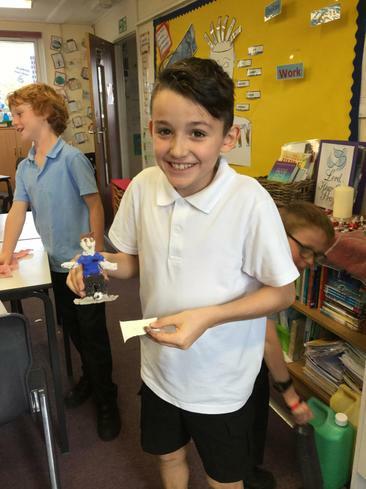 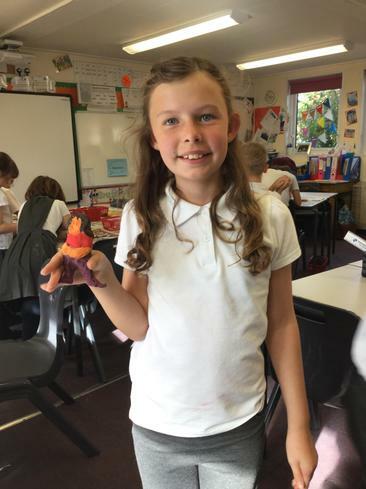 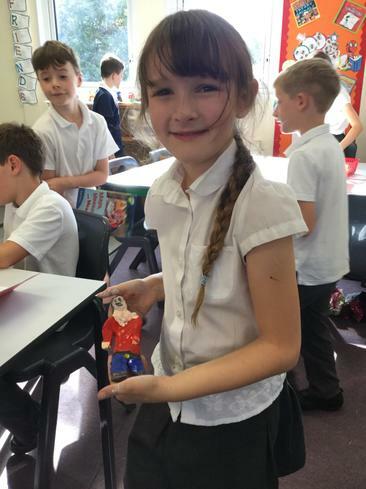 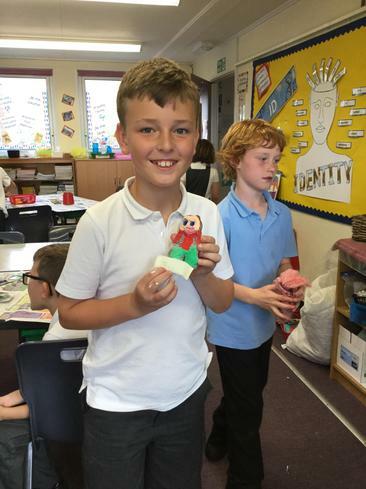 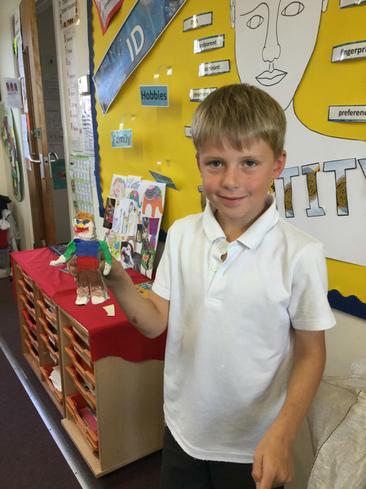 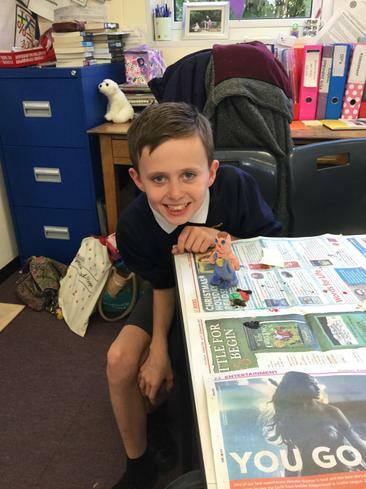 Today we used clay to make a mini me - messy, but fun! 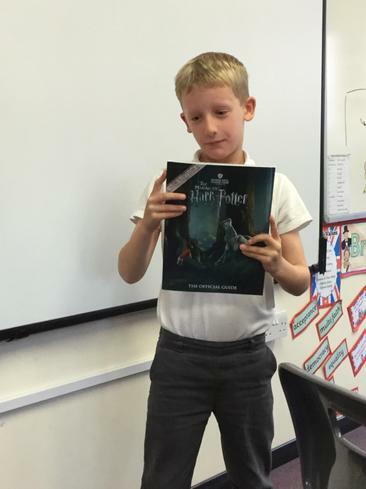 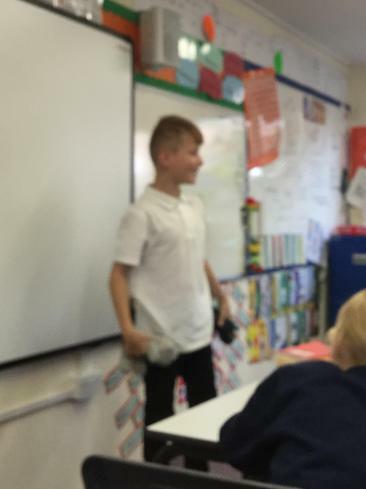 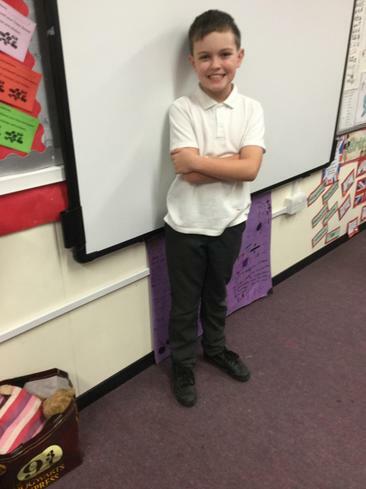 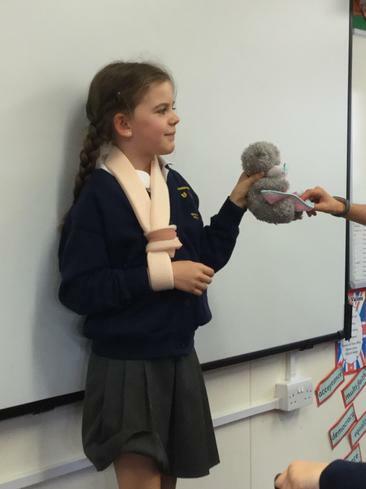 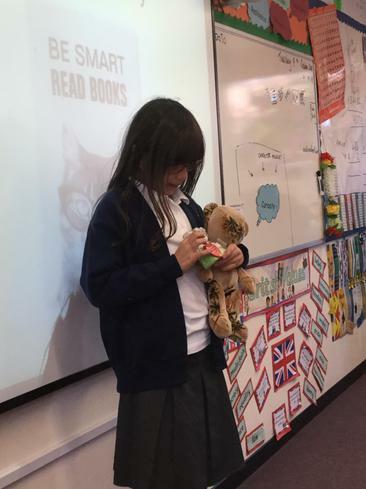 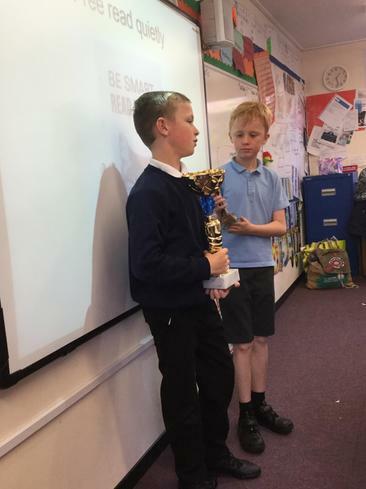 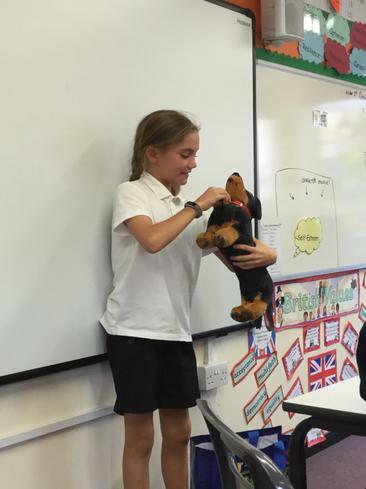 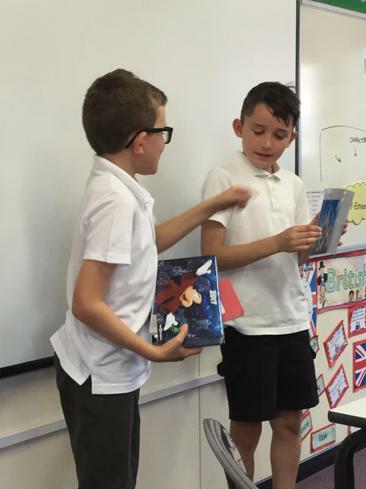 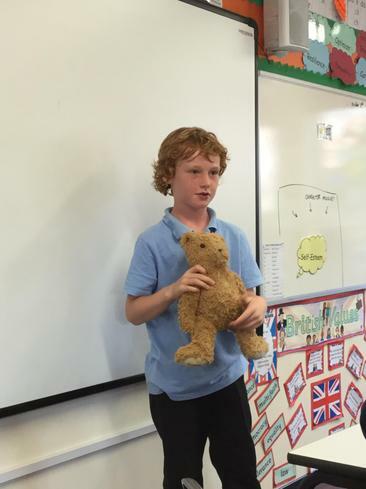 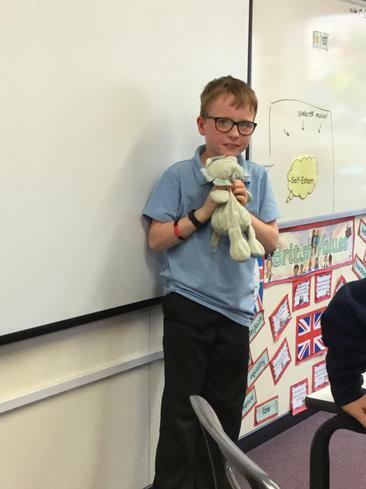 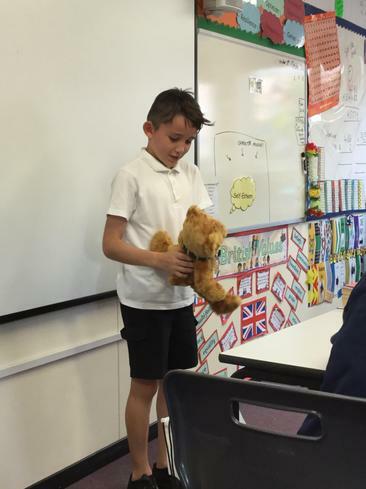 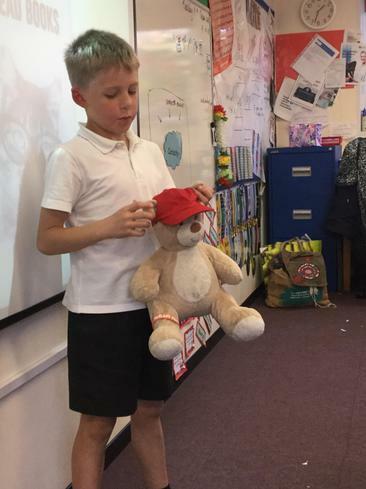 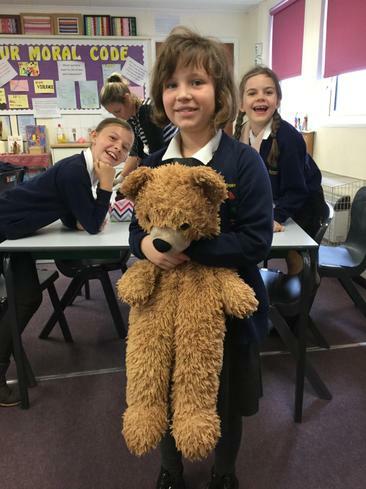 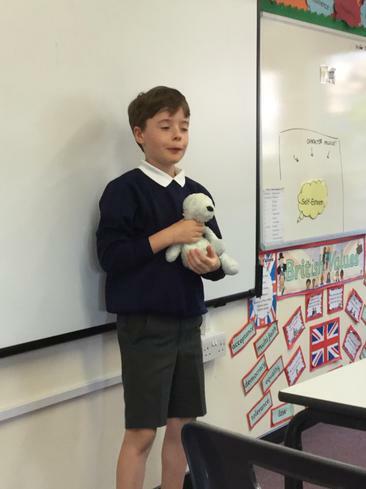 Today, as part of our Identity topic, we all found out about each other's special things in an extended show and tell session.